Here is an example of the unique and modern way we do a dozen roses. 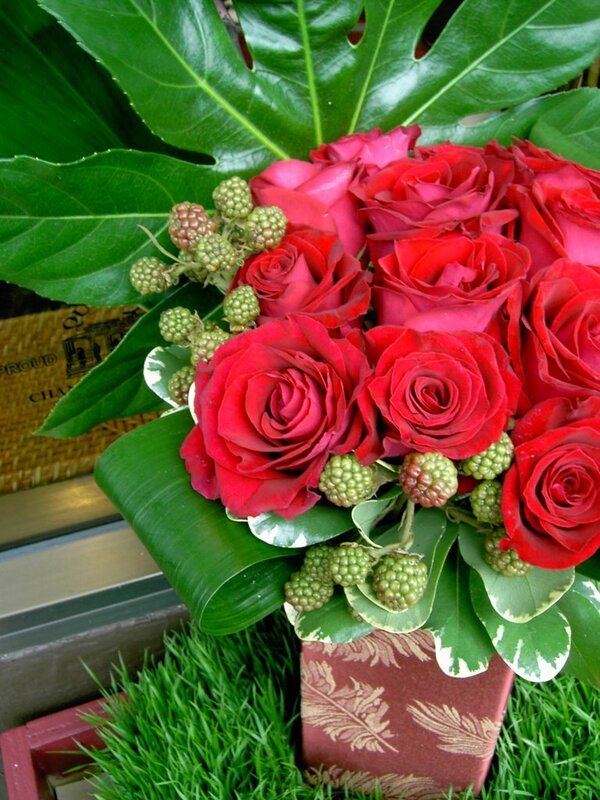 Lush and long lasting, the roses are accented with seasonal items such as berries and artistic leaves. 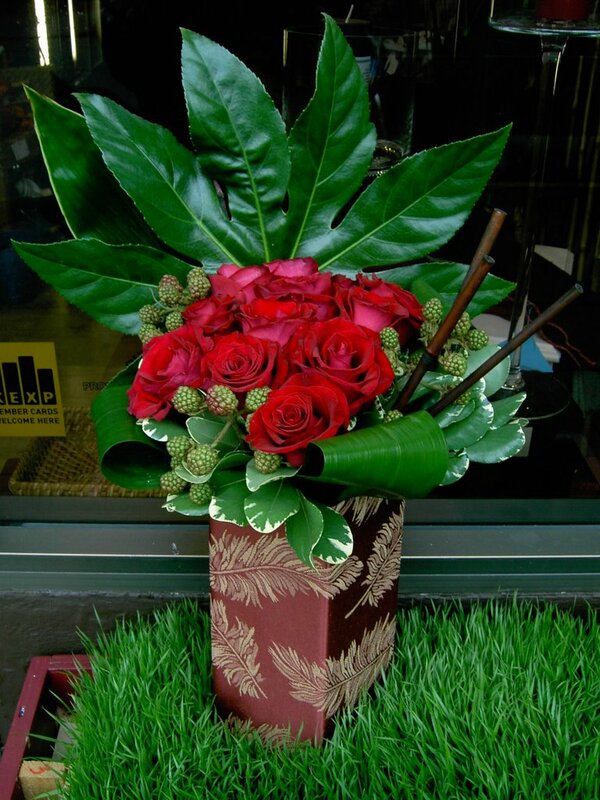 This gift is dramatic and gets a 10 in the “wow” factor rating! Price for Valentines week (Feb. 11-17) is $175.00 See photo’s in previous post for our color selection.